William Henry Brown’s parents were not who most researchers indicate they were. When a conflict arises regarding an individual’s parents, it is important for me to reset all my assumptions and start afresh. Such is the case with one my more frustrating areas of research, the Browns of Saline, Washtenaw County, Michigan. In a previous post, Henry Brown (c. 1843-c. 1888), I mentioned was not convinced that the Henry Brown that married Marion Sanford was the child of Benjamin Brown as most researchers have found. In my continuing Brown research, my next research subject was going to be William Henry Brown’s father. I began researching Benjamin Brown. I did a thorough look at his facts and determined that although Benjamin Brown did have a son named Henry, this Henry could not be the Henry Brown who married Marion Sanford, had 11+ children (Including my great-grandfather, Arthur Durwood Brown), and located to Dakota Territory about 1883. To recap, I am certain of the information regarding William Henry Brown back to the 1870 Census. 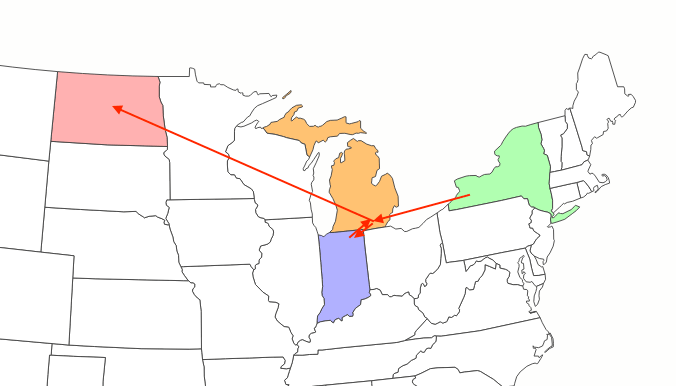 I then found William Henry Brown in the 1860 and 1850 Censuses always in Saline, Michigan. 1885 Census[i] – W. H. Brown with wife Marion, and 11 children (Including Arthur). Youngest son, Edward, born in Dakota Territory. Youngest daughter, Adia born in Michigan. 1870 Census[iii] – Henry Brown (Age 25) with wife Marion & 2 children including Arthur. 1860 Census[iv] – Henry W Brown, (Age 17) in the household of Daney & Mary C. Brown with three siblings including Myron O Brown. 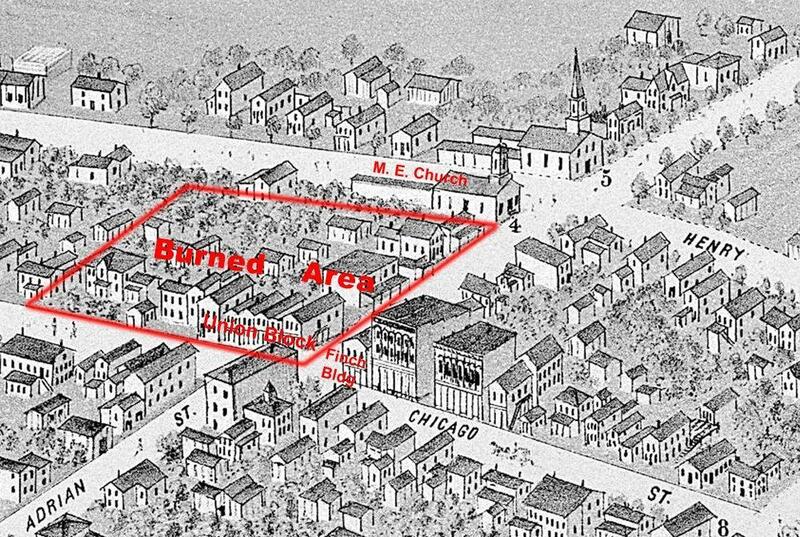 1850 Census[v] – William H Brown, (Age 8) in the household of Barney & Mary C Brown with 1 sibling, Myron O. Brown. Although William Henry Brown usually went by Henry, 1885, 1860, and 1850 Censuses, taken together, indicate why I believe his name to be William Henry Brown. As I mentioned, many researchers have Henry Brown the son of Benjamin Brown and Eliza Fowler as the Henry who married Marion Sanford, etc. Following that Henry Brown, we see him in the 1850 and 1860 Census with Benj & Eliza, but in the 1870 Census, we find in living with William Brown (an apparent brother). 1860 Census[vii] – Henry Brown, (Age 16) in the household with Benjamin & Eliza Brown. 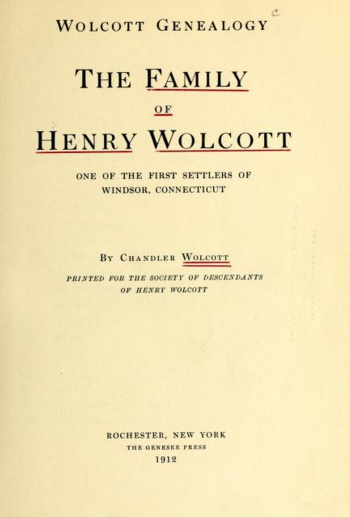 Clearly the [William] Henry Brown, who married Marion Sanford, and was the father of Arthur Durwood Brown, cannot be the same person as Henry Brown of Vernon. I was pretty sure I needed to make this correction two years ago when I last looked at William Henry Brown’s life. Now, after reanalyzing the information I am certain. In my research and records, I have corrected William Henry Brown’s parents to be Barney (Daney) and Mary C. Brown. I’ve also corrected my Brown/Montran Tree on Ancestry.com appropriately. 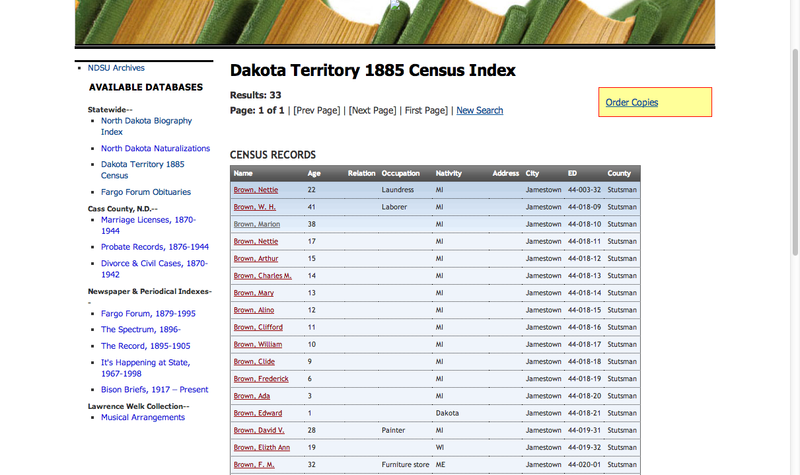 [i] 1885 Census Index – Dakota Territory; W. H. Brown – Census Records: page 44-018; NDSU Archives; http://library.ndsu.edu/db/census/family?ed=44-018-09. [ii] 1880 Census; Henry Brown – Saline, Washtenaw, Michigan, ED 237, Page 21, Line 50; Ancestry.com . [iii] 1870 Census; Henry Brown – Saline, Washtenaw, Michigan, Page 17, Line 18, Family 115; Ancestry.com . [iv] 1860 Census; Daney (Barney) Brown – Saline, Washtenaw, Michigan, Line 34, Family 643; Family Search; https://familysearch.org/ark:/61903/1:1:MWDZ-DLM. 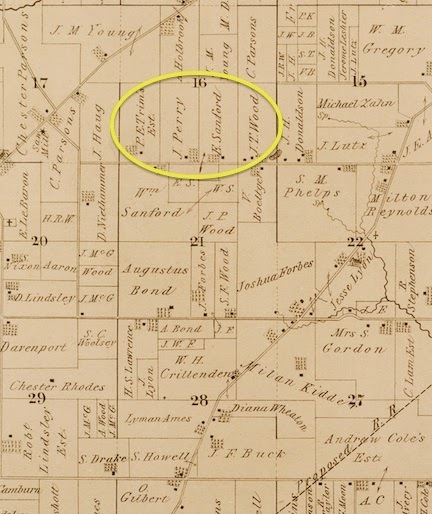 [v] 1850 Census; Barney Brown – Saline, Washtenaw, Michigan, citing family 185; Family Search; https://familysearch.org/ark:/61903/1:1:MF8P-F8S. 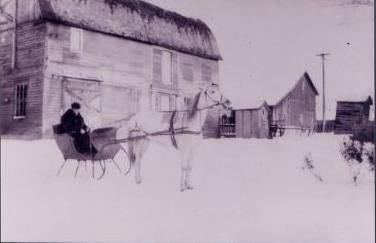 [vi] 1850 Census; Benjamin Brown – Michigan, Shiawassee, Vernon, (Image 14 of 16) Lines 29-38; Family Search; https://familysearch.org/ark:/61903/1:1:MF8G-92K. [vii] 1860 Census; Benjamin Brown – Michigan, Shiawassee, Vernon Township, Page 55, Line 11; Family Search; https://familysearch.org/ark:/61903/1:1:MWDR-XSL. Author Don TaylorPosted on March 26, 2016 January 27, 2017 Categories BrownTags Barney Brown, Daney Brown, Fowler, Marion Sanford, Michigan, William Henry BrownLeave a comment on William Henry Brown’s parents were not who most researchers indicate they were.